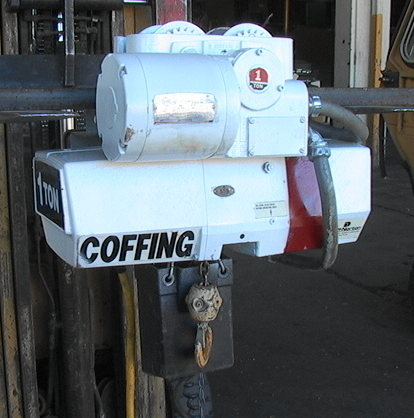 For sale is a 1-Ton Coffing EC20085 7 Ft Electric Chain Hoist With Horizontal Trolley And Drive. Cavlon Item # 3538. Raw weight is 490 lbs. 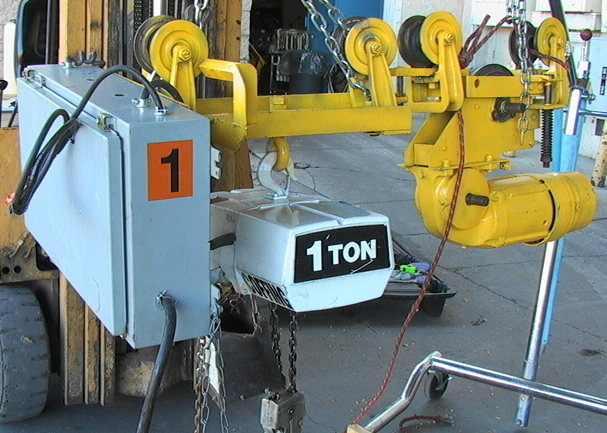 Raw dimensions are 34*25*36"
For sale is a 1-Ton Coffing EC20165 10' Electric Chain Hoist with compact motorized trolley. Cavlon Item # 3536. Raw weight is 224 lbs. Raw dimensions are 24*24*34"
For sale is a 1000# Gorbel 10 by 30 Free-Standing Overhead Bridge Crane with CM Lodestar Electric Hoist. Cavlon Item # 2500. Up for sale is a 15 foot long 1.25 inch Diameter Cable Wire Rope with Clevis and Eye ends. Cavlon Item # 2426. For sale is a 23' Tandem Axle Equipment Trailer With Spring Assist Ramps. Cavlon Item # 2791. Raw weight is 4000 lbs. Raw dimensions are 8' by 28' by 64 inches raw. Up for sale is a 3-Ton Greenerd Arbor Press NO. 3A on stand . Cavlon Item # 2368. 3000 Degree Harper Rotary Tube Furnace Kiln Continuous-Feed 5"
For sale is a 3000 Degree Harper Rotary Tube Furnace Kiln Continuous-Feed 5" by 5' tube 30KVA Just Rebuilt with NEW elements and insulation. We think this unit should be worth $50K but are selling it at a discount for lack of storage room. Cavlon Item # 2494. 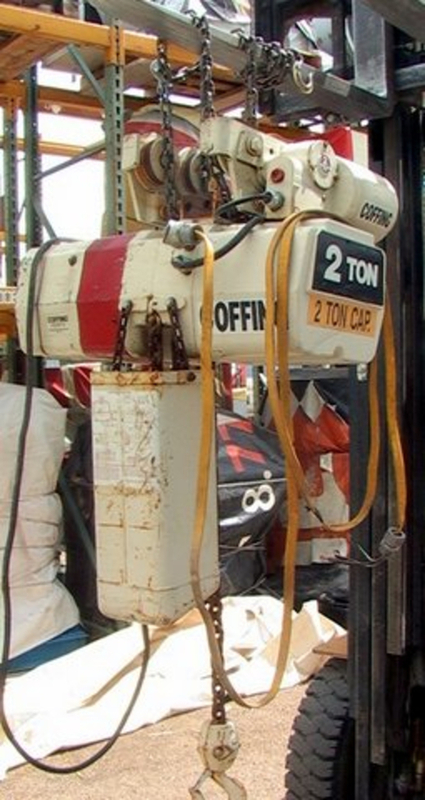 Up for sale is a 6-ton FAMCO 4 R Arbor Press. Cavlon Item # 2369.